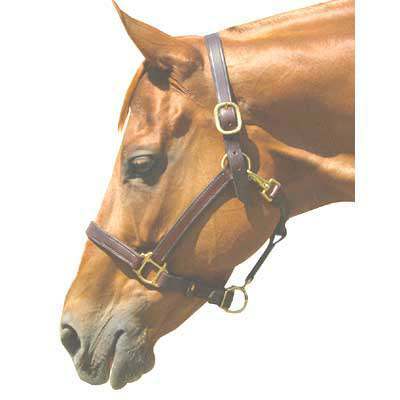 When you buy one of our Horse Stable Halters you will be getting a high quality halter for your horse. It is beautifully adorned with solid brass hardware, this beautiful 3/4" leather halter also features a single crown. The item also has a flat throat snap and double stitching for greater durability.